What do Fidel Castro, Henry VIII, and Napoleon have in common? Aside from their penchant for power and natty hats, they have all been excommunicated. Excommunication is the harshest punishment available to the Roman Catholic Church, and essentially means that the excommunicated person must be shunned by their community and, unless they clean up their act, they will probably be going to Hell. Pretty strong stuff. Crimes that warrant excommunication include physically attacking the Pope, violating the seal of confession (if one is a priest), or stealing the host for a sacrilegious purpose. However, the most common reason for excommunication is heresy, which—as you will see from the following instances—can come in many guises. 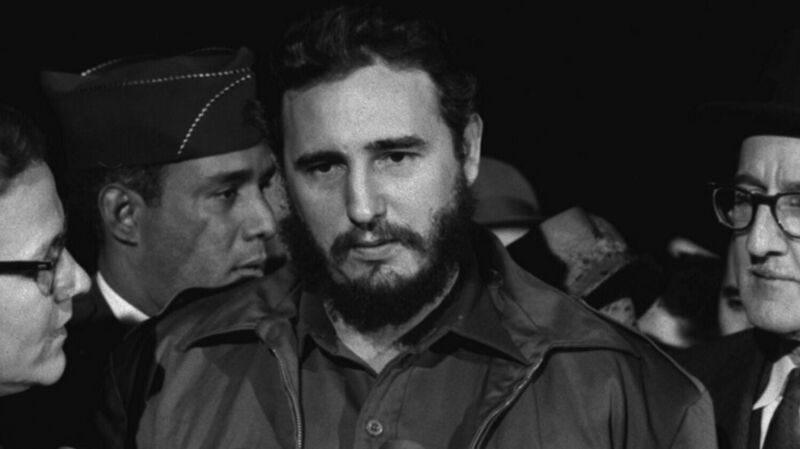 Fidel Castro was excommunicated in 1962 by Pope John XXIII, some say on the basis of a 1949 decree which forbade Catholics from becoming Communists. (Other scholars say Castro was excommunicated for inciting violence against bishops, while still others question whether the excommunication technically occurred at all.) In any event, Castro had long suppressed the Catholic Church in Cuba, even going so far as to ban Christmas in 1968. However, the excommunication did not stop Castro from meeting Pope John Paul II in 1998 and Pope Francis in 2015. Henry VIII spent the first part of his reign very close to the Catholic Church, but things came to a head when he demanded an annulment of his marriage to Catherine of Aragon so that he might marry Anne Boleyn. The final straw came when Henry dissolved the monasteries, plundered their holy relics, and promptly named himself Supreme Head of the Church of England. Not surprisingly, Pope Paul III excommunicated Henry in 1538. Joan of Arc famously dressed as a man to lead the French army to victory over the English during the Hundred Years War. Later caught and handed over to the enemy, she was excommunicated and burned at the stake by a pro-English Bishop in 1431 for heresy and cross-dressing. In 1456 (and a bit late for poor Joan), Pope Callixtus III held a re-trial and cleared her of all charges. She was declared a martyr, canonized, and became Saint Joan of Arc. Though baptized as a Catholic, Henry IV was raised as a Hugenot, and thus was excommunicated as a heretic in 1585 by Pope Clement VIII while still heir to the throne. In an early precursor to today’s political flip-flopping, Henry IV later converted back to Catholicism in order to secure the French crown, and his excommunication was lifted. After the 16th century Protestant Reformation, Elizabeth I followed her father Henry VIII’s lead and continued to rule the Church of England as its head, effectively usurping the Pope. In a desperate bid to return errant England to the papal fold, in 1570 Pope Pius V excommunicated Elizabeth I. This tactic proved unsuccessful, and nearly 500 years later England’s current monarch, Elizabeth II, is still head of the Church of England. Juan Perón served three terms as President of Argentina. In 1955, he enraged the Catholic Church by attempting to legalize divorce and prostitution, and by expelling two Catholic priests he thought had been spreading malicious rumors about his alleged affair with an underage girl. Unable to force Perón to retain Catholic values, the church leaders reverted to their last resort and excommunicated him. Napoleon, always a keen empire-builder, was excommunicated by Pope Pius VII in 1809 after occupying and annexing Rome. Napoleon did not take kindly to this affront and had Pope Pius kidnapped. The ailing pontiff was kept prisoner for five long, uncomfortable years—carted around Napoleon’s empire and pressured into yielding papal powers. Pius VII had the last laugh, however, when Napoleon was ousted and exiled in 1814 and Pius made a triumphant return to Rome.